Wendy van Wilgenburg - Cultural anthropologist and documentary filmmaker, focusing on films about craftsmanship. Director, camera, editor. Bart Nieuwenhuijs - Specialist in 17th and 18th century Zaanse timber construction. Contractor en restorer of De Huisman. Bianca Boer - Writer and poet from Rotterdam, who wrote the lyrics for De Huisman song. De Kift - Famous band from Koog aan de Zaan, who composed the music for this film. 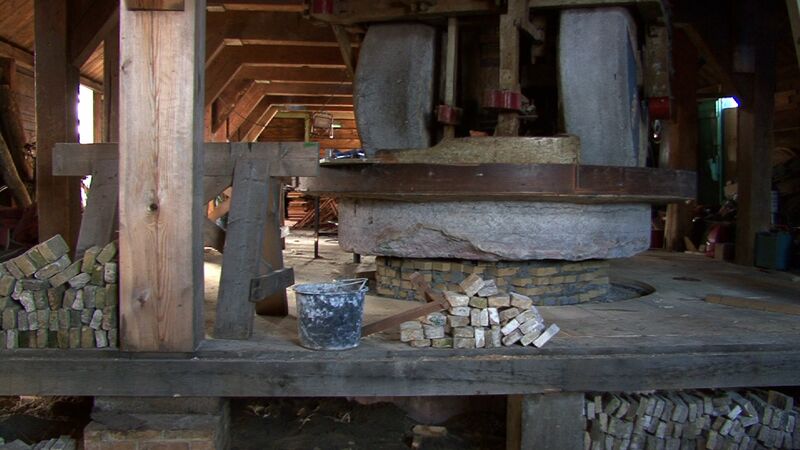 Coen Bouman - Keyframes built a 3D model of the mill in old and in new condition, and created spectacular animations. Lizet Heijboer - Graphic designer, designed the typography and looks of the printed matter. Edwin Slothouber - Built many beautiful websites, amongst which this one. De Zaansche Molen Association - With appreciation of the recommendation, photographic materials and publicity. De Hollandsche Molen Association - With appreciation of the recommendation and publicity. Pim ten Have - Specialist in wooden ship construction, wood carvings and restorations. Joep Struyk - Sculptor, designed the logo of the foundation. Besided the people mentioned above, credits go first of all to the team of carpenters, Paul Aafjes in particular, Pauline Gingnagel, Martin Schaap, Matthijs Ero, all participants, interns, volunteers and many others.